This is a Snap Fix Rafter Supported Glazing Bar. It is suitable for use with 10mm, 16mm and 25mm Polycarbonate sheet. When using longer lengths of 25mm polycarbonate sheets extra care is required when securing the Snap Fix cap. Bar pack includes PVC top cap, aluminium bar with gaskets, (1) clip-in end cap (6m Snap Fix Glazing Bars are supplied with (2)). An optional screw in end cap is also available for this bar. This is an ideal bar for Lean-To Conservatory Roofs and Carports in non-exposed positions. · Aluminium glazing bar base is 45mm wide and 20mm high. 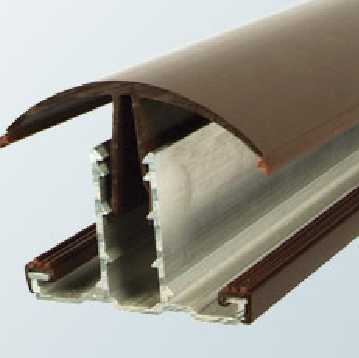 · For Polycarbonate panel width deduct 20mm from your rafter centres. If you require a solution for more complicated roofs employing non-rectangular glazing panels or glass please look at the Aluminium Rafter range for hipped and ridged roofs. This uPVC Push-In End Cap is for use with the 10-25mm Snap Fix Rafter Glazing Bar. It is supplied in White and Brown. 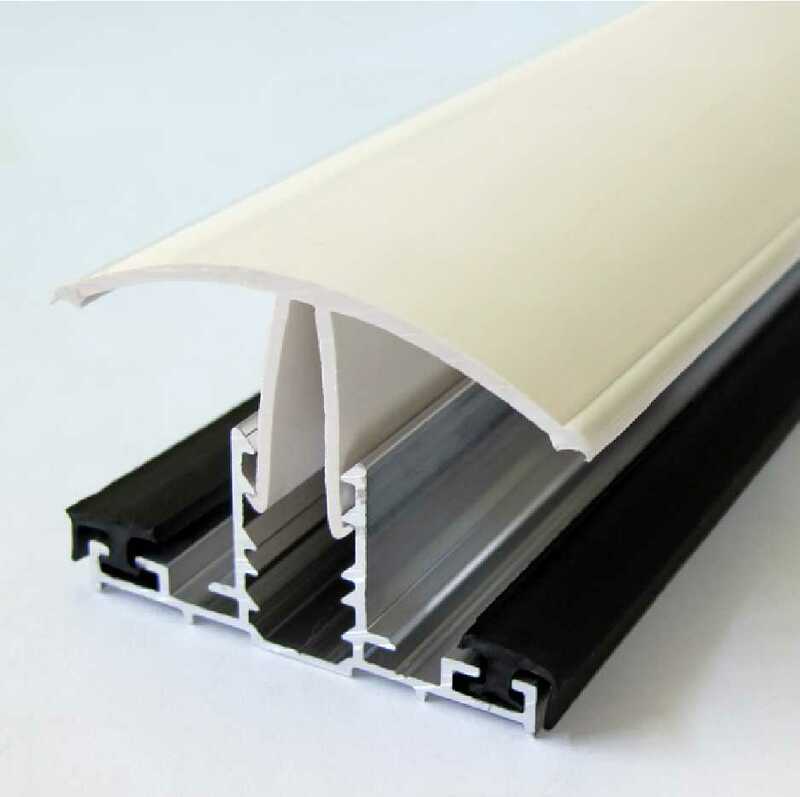 I would recommend your affordable products (Glazed Roof Components | uPVC Rafter Supported Snapfix Glazing Bars | Snapfix uPVC Rafter Supported Glazing Bar for 10-16mm thick Polycarbonate Glazing, 2.5m - 4.0m) to anyone else considering this product, as it has been superb. Omega Build Shop | Glazed Roof Components | uPVC Rafter Supported Snapfix Glazing Bars | Snapfix uPVC Rafter Supported Glazing Bar for 10-16mm thick Polycarbonate Glazing, 2.5m - 4.0m. You are viewing Glazed Roof Components | uPVC Rafter Supported Snapfix Glazing Bars | Snapfix uPVC Rafter Supported Glazing Bar for 10-16mm thick Polycarbonate Glazing, 2.5m - 4.0m, buy online today!